An amazing and popular tourist location that will have you extending your stay to explore more of this beautiful area! Lake Tinaroo is a man made lake thats around 3/4 the size of Sydney Harbour. It was completed in 1958 with it's main focus on providing irrigation to the rich farming areas in the region. The lake is now a popular tourist location for caravanning, camping, water skiing and of course FISHING!!! There are huge specimens of Barramundi in Lake Tinaroo due to the fact that they have no natural predators in the waterway so they can grow to enormous sizes. You have so many options with tourist attractions scattered everywhere around the lake. There is Lake Eacham, Lake Barrine, The Curtain Fig Tree, Waterfalls, Cafe's and activities like the Crystal Caves in Atherton. 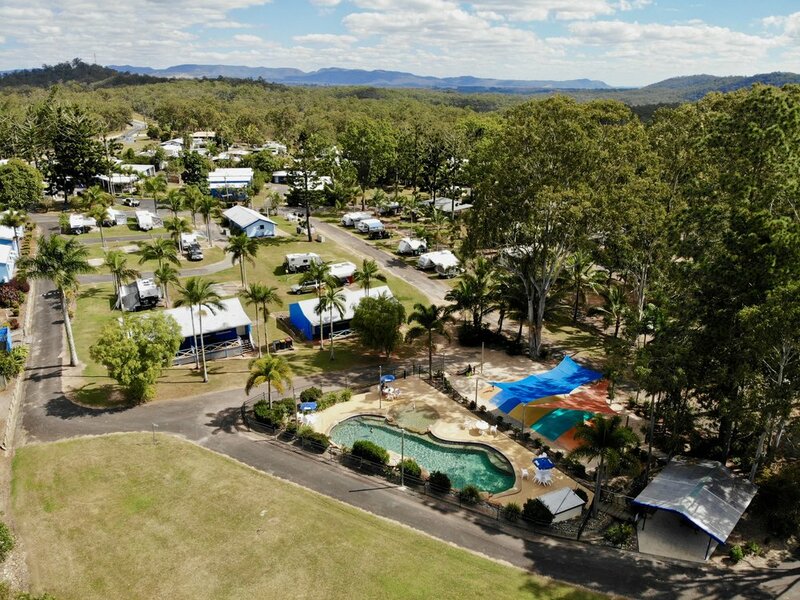 Your days can be filled with exciting adventures or you can just as easily kick back and relax at the Lake Tinaroo Holiday Park. 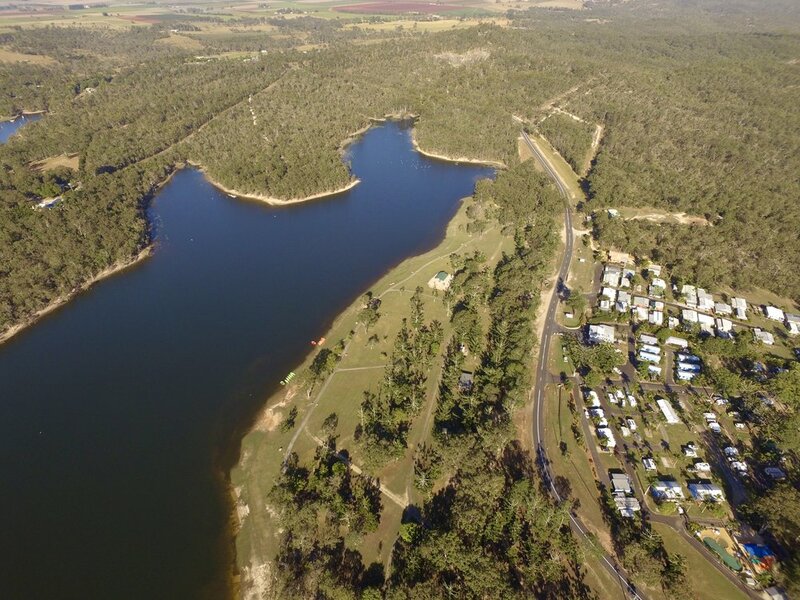 The Lake Tinaroo Holiday Park is just a short stroll from the lake and the parklands that surround it. With a range of sites and accommodation to choose from, it's the perfect choice to setup camp and explore the Tablelands. There is great facilities here including a resort style lagoon pool, jumping pillow and a cafe/convenience store located at reception. Just across the road is a huge undercover playground on the banks of Lake Tinaroo. If your chasing one of the famous monster Barra, you can also hire a tinny from the park and try your luck.